The Newholm today sits on a sand bank in 36m of water and is 28m to the deck. Due to the strong currents in the area there is very little silt making this a very bright wreck. The sand bank she sits on moves covering and uncovering different parts of the wreck from year to year. After the storms of 2014 a lot more of the wreck has been uncovered and divers in 2015 recovered silver cutlery from one of the holds. On September 8th, 1917, Newholm, an armed merchantman on a voyage from Bilbao to Middlesbrough with a cargo of iron ore, hit a mine laid by the German submarine UC-31 (Kurt Siewert), 1 mile south of Start Point. 20 of the 29 crew were killed. This is the Marstonmoor built by the same company about the same time and similar design. The Riversdale was a British steamer of 2,805 tons built by J. Blumer & Co Sunderland in 1906. On the 18th December 1917 whilst en route from Tyne to Savona with a cargo of coal she was torpedoed by UB-31 (Thomas Bieber). Captain J.T.Simpson managed to run her up onto the shore at Prawle Point where she was patched up and towed off. Unfortunately she didn’t get very far under tow and sank 1 mile off Prawle Point. The Riversdale now sits upright in 41m of water with minimum depth of 30m. 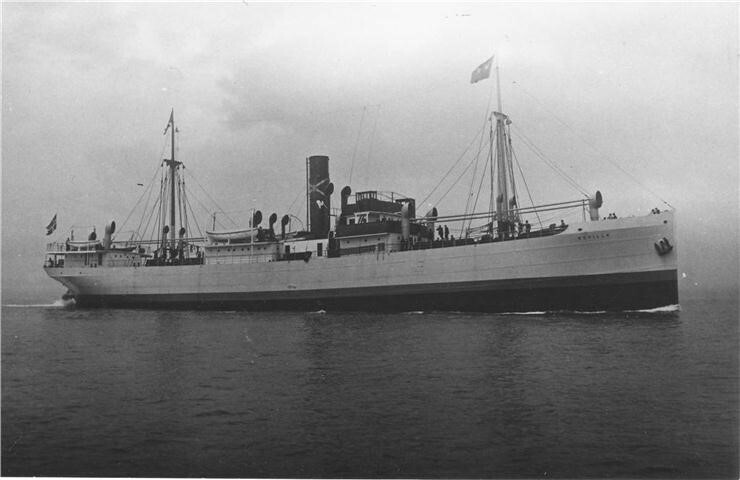 The British Navy trawler HMT Picton Castle was built in 1911 by Smiths Dock Co. Ltd of Middlesbrough for the Castle Steam Trawlers Co. Ltd Swansea. She was requisitioned by the admiralty fitted with a 3 pounder and sent into service as a mine sweeper. On February 19th, 1917, Picton Castle was sunk by a mine from the German submarine UC-17 (Ralph Wenninger), 3 miles southeast of Dartmouth harbour. 12 crew were lost. SS Sevilla was a Norwegian steam of 1.318 tons en route from Cadiz to Bergen with 7 passengers and 1,500 tons of fruit& wine. On April 25th, 1918 she was torpedoed and sunk by the German submarine UB-80 (Max Viebeg) 3 miles northwest of Berry Head. One person was lost. She is locally known as the Orangeman as after sinking the sea was covered with her cargo of oranges. 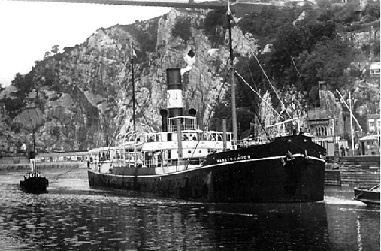 The SS Skaala was a Norwegian steamer of 1,129 tons. Whilst en route from Port Talbot to Rouen with a cargo of patent fuel she was sunk by a torpedo from UB-35 (Karl Stoter). She sank 4 miles west of Prawle Point, with the loss of one crew member. Today the Skaala lies in 43m of water with a depth of 33m to the deck. Built in 1890 as the Bussorah for T Appleby & Co West Hartleypool. She was renamed Greatham in 1891. Greatham was a defensively armed British Merchant ship of 2,338 tons. She was on route from Grimsby to Blaye with a cargo of coal. 3 miles south east of Dartmouth she was torpedoed by UB-31 (Thomas Bieber) and sunk killing 7 crew. Today the Greatham lies in 44m of water and is pretty much intact with some damage forward of midships. She is generally in clean water and often reports 5m+ viz. SS Elsa, built by Tyne Iron Shipbuilding Co. Ltd., Newcastle in 1904 and owned at the time of her loss by A/S Den Norske Afrika og Australie Linje. She was a Norwegian steamer of 3581 tons on route from Newport, Montreal to Christiana with a cargo of coffee, tea, rice, coal & coke. On January 24th 1918 she was sunk by German submarine UB-31 (Thomas Bieber) 5 miles ESE from Dartmouth harbour. Despite sinking in only 20 minutes all 28 crew got clear and there were no casualties. Today she lies in 45m of water, standing 4-5m proud of the seabed and is quite broken up. 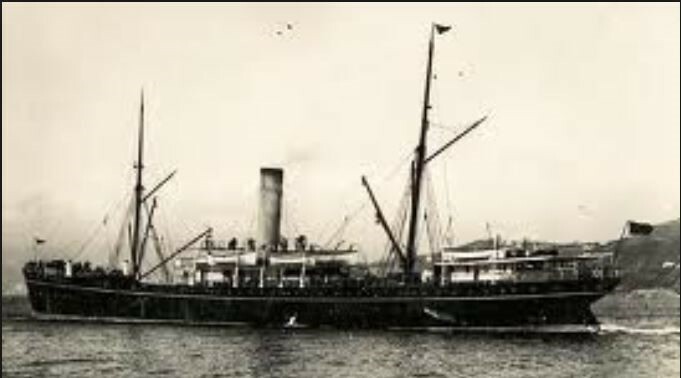 The SS Wreathier was an 852 ton armed British merchant ship carrying coal from Barry to Rouen. On the 3rd December 1917 she was hit by a torpedo from UB-35 (Karl Stoter) and sank one mile west of Prawle point. Three of her crew died in the attack. Today she sits in 50m of water with her deck standing proud at 42m.